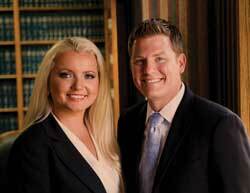 The Miller Family Law Group was established to provide individuals in our community with personal and effective legal representation in all areas of family law. The firm melds an elite team of family law attorneys with extensive litigation experience and a strong track record of success for our clients with the compassion and attention each client deserves as they navigate through some of the most trying times of their lives. At the Miller Family Law Group, we pride ourselves in being high-level strategists, skilled communicators, creative problem solvers, and, above all else, trusted advisors.